Public reviews for places on Google can be really useful, from finding places to eat to deciding where to get your car fixed. But while many of the reviews left by members of the public about Sussex’s criminal courts may not be as useful, they are very amusing. Some appear to have been written by former defendants, while one merely points out that you can’t play sports at Lewes Crown Court. Terry Bryatt on Lewes Crown Court: “I just hope the jury seating in the Court has improved over the last few years. 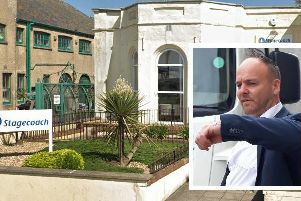 ‘Local guide’ Mark Kinglsey on Brighton Magistrates Court: “This place is excellent and I thoroughly recommend that if you are told to go to court by a policeman or police woman that you come to this place.